Hello everyone! In the previous articles, we have mostly tackled some basic information on Paleo Diet, including the Paleo Diet Food List Guide – What To Eat And Not Eat. As we move towards adapting the Paleo lifestyle, I want to slowly introduce you towards transitioning to Paleo cooking, particularly on the use of herbs and spices. In any type of diet, variety is important. Paleo diet has its own set of restrictions, which is why it is important to use a dash of creativity and a pound of imagination to make meals interesting and pleasurable. And when it comes to Paleo cooking, herbs and spices are your powerful allies in the kitchen. Since the beginning of human civilization, herbs and spices have always been an integral part of history. In Egypt, a number of 4, 000-year-old tombs have been found to have traces of cumin, anise along with other herbs and spices. In ancient Europe, ancestors have already discovered rosemary as an effective meat preservative. 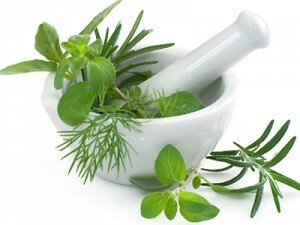 In addition, there are also a number of herbs and spices that have been extensively used as medicines centuries ago. In the modern world, herbs and spices are considered important components in cooking. With the availability of cooking shows on TV, people find it more convenient to learn the different uses of herbs and spices in creating delectable and flavorful dishes. Herbs and spices are generally best used when they are kept relatively fresh. Heat, age as well as air exposure can result to gradual loss of flavor. When using herbs and spices, it is best to add them towards the last few minutes of cooking in order to maximize its flavor and aroma. This is because prolonged exposure to heat will cause the herbs and spices to become less potent. Herbs generally refer to certain plants that do not have wood stems and generally grow in cooler climates. These herbs are derived from the fleshy and leafy portions of plants, and are either used for cooking in dried and fresh form. Herbs are used to add flavor as well as provide nutrients to a variety of dishes. Basil contains vitamins A, B1 and B3. It is also packed with Calcium, Magnesium, Phosphorus, Iron, Zinc, Folate, Pantothenic Acid and Manganese. This particular herb belongs to the mint family and is known to provide that minty, sweet and mild pepper flavor. Basil is ideally used with fish and chicken recipes, along with salads. It is also the basic ingredient used for making pesto. Bay leaves, otherwise known as laurel, contains Iron, Calcium, Potassium, Phosphorus, Manganese, Zinc, Folate, Vitamins A, B2, B3, B6, and Fiber. Bay leaves add that mildly astringent and woody flavor to dishes, along with a slight hint of mint. Bay leaves are best used for different meats, poultry, stews, fishes and vegetables. When preparing meals with bay leaves, make sure to remove the herb before you serve your dish. Important: While bay leaves ar categorized under the laurel family, it should be confused with other types of laurel plant such as cherry laurel and mountain laurel, as these two are poisonous. Rosemary contains Iron, Calcium, Magnesium, Potassium, Vitamins A, B6, C, Copper, Folate and dietary fiber. Rosemary is a form of an evergreen shrub that is part of the mint family. It comes with an aromatic, pungent smell that lends a slightly bitter taste. Rosemary are best used in broiled streaks soups, along with vegetables and meat dishes. Parsley is packed with protein, Vitamins B1, B2, B3 as well as B6. It also known to be a good source for Zinc, Pantothenic Acid, Folate and dietary fibers. Parsley can be used either fresh or dried, and is often added to fishes, meats, soups, sauces and vegetables. Like basil, oregano belongs to the mint family. It is generally used in dried form and is extensively added to many Italian dishes. You can use oregano for sauces, meats, salads and soups. This herb contains Copper, Pottassium, Iron, Calcium, Magnesium, Dietary fiber, Folate, Vitamins A, B6, E and C.
Spices generally refer to the vegetative substances like seeds, buds, flowers, roots, bark and fruits of trees and plants, which typically grow in semi-tropical and tropical climates. If there is a spice that brings fond memories of childhood, it’s cinnamon. Used for cooking as well as fragrance in scented candles and other products, it lends a savory and sweet flavor to food. Cinnamon is known to be effective in reducing blood sugar and cholesterol as well as prevent yeast infection. It contains Calcium, Iron, Vitamin K, Manganese, and dietary fiber. One of the internationally popular spices is pepper, which is used in its grounded and dried form and freshly cracked ones. The white pepper variety offers a milder flavor compared to black pepper, although the latter is known to be more popular. Peppers contain Iron, Calcium, Magnesium, Pottasium, Vitamins C and K, Copper and Dietary Fiber. Another well-known and widely used spice is ginger, which is used in dried and fresh forms. Dried ones are known to be spicier as well as more intense in flavor. Ginger contains Vitamins B6, Manganese, Selenium, Potassium, Vitamin E and B6. Paprika is derived from sweet red pepper, which are dried and grounded after the seeds and core have been removed. Paprika is widely used in many Spanish dishes as well as Hungarian cooking. This particular spice can be used in fish, meat and chicken. 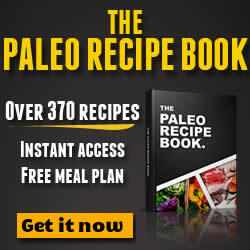 The above-mentioned herbs and spices can be used in a wide variety of Paleo dishes. For some no-fuss meal ideas, check out my articles Paleo Breakfast Ideas to Lose Weight and Paleo Diet Breakfast Easy Recipes to Try. please DO NOT confuse bay leaves and Laurel! Laurel is poisonous, Bay Leaves are not! Hi Shem! Thank you for dropping by. It’s good that you pointed that out since a lot of people use the term “bay leaves” and “laurel” interchangeably, mainly because of the visual similarity. But the cherry laurel and mountain laurel leaves are the ones that have been identified as poisonous to both livestock and humans and are generally not sold for culinary use. I have updated my post to include that note. Thanks again. Do drop by again sometime.